Lifeline RGV, LLC is locally owned and operated. We are licensed by The Department of State Health Services, Medicare and Medicaid. Our company is staffed with multiple levels of EMT’s with over 25 years of experience and training. We provide service throughout the Rio Grande Valley. Lifeline RGV, LLC is located in McAllen TX. Innovative equipment has aid in the efficiency of treatment during transport by assisting our trained EMTs to effectively treat and transport the patient thus increasing the chances of survival. Understanding that our valuable service is an extension of a patient’s medical needs and ensuring quality care for our patients as well as dependability. The care and compassion that we render to our patient’s has encouraged other medical facilities to trust in our service. 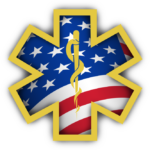 Lifeline RGV, LLC staff consists of multiple levels of certifications, Emergency Care Attendants (ECA), Emergency Medical Technicians (EMT–B), Emergency Medical Technicians Intermediates (EMT–I), Emergency Medical Technicians Paramedics (EMT–P), Licensed Paramedics (LP). All our medics are CPR certified and our paramedics have various certifications such as ACLS, PALS. Lifeline RGV, LLC performs randomly drug testing on all employees. Prior to employment our staff goes through a background check. All employees are trained and oriented on all company equipment and issued a company procedure manual before the first day of work. Our Dispatch Team is trained to handle any type of call and assist patients and facilities with transportation schedules 24 hours a day, 7 days a week. Our Medical Records Staff is trained to assist patients and facilities in getting transportation approved by Medical Insurance such as Medicaid, Medicare and private insurances. At Lifeline RGV, LLC we believe in a safe working environment for all our employees, our patients and partnered facilities. We are an equal opportunity employer.